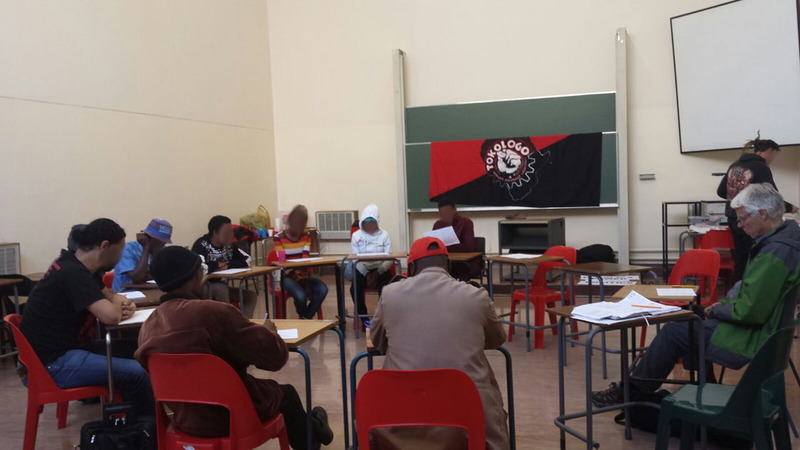 Professor Peter Linebaugh joined comrades from ZACF and TAAC for a banner-making workshop in Johannesburg on 21 August 2015. Prof. Linebaugh, a lifelong radical then visiting South Africa, was thrilled: “It is wonderful to see you comrades taking the struggle for the Commons forward.” Comrade Peter is author or co-author of books on working class struggle in “Albion’s Fatal Tree,” “The London Hanged,” “The Many-Headed Hydra: Sailors, Slaves, Commoners and the Hidden History of the Revolutionary Atlantic,” “Stop, Thief! The Commons, Enclosures, and Resistance” etc.